New study finds higher-than-expected number of women in their 40s and 50s with eating disorders. A new study just released in the United Kingdom has found a surprisingly high number of women who have an active eating disorder in mid-life, during the ages of 40-60, according to an article on eurekalert.org. The study looked at data from the Women from the Avon Longitudinal Study of Parents and Children cohort to select women who had suffered from the disorder at some point in their lives. A group of over 5,000 women were selected to complete a questionnaire about any eating disorders they experienced, along with an equal number of women who had not reported having any symptoms of any to the conditions. The data covered a period of about 40 years. The study, which the report says is the first that has investigated the prevalence of eating disorders in women in their 40s and 50s, found that around three percent of the women in that age group reported having an eating disorder, a condition normally associated with teens and young adults. Another surprising finding from the study was the fact that over 70 percent of the total number of women who reported an eating disorder, which included anorexia, bulimia, binge eating, and purging disorders, said they had not sought help or received treatment for the disorder. The research also looked at the factors that were associated with eating disorders, including childhood unhappiness, parental separation or divorce, sexual abuse, and death of one of their caregivers. 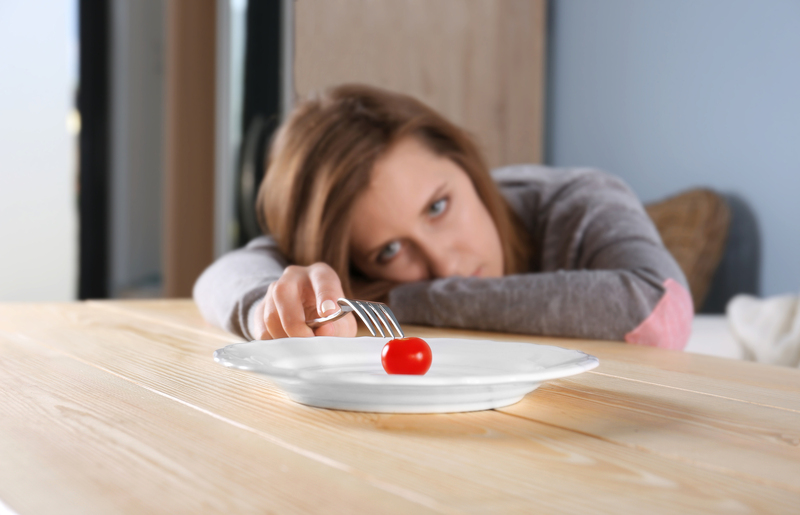 The researchers cautioned the study findings, published in the journal BMC Medicine, covered the past 40 years may not reflect increased awareness of eating disorders today, and recommended further studies to better characterize these conditions in mid-life women.